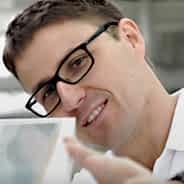 Discover more than 12 different professional quality papers. 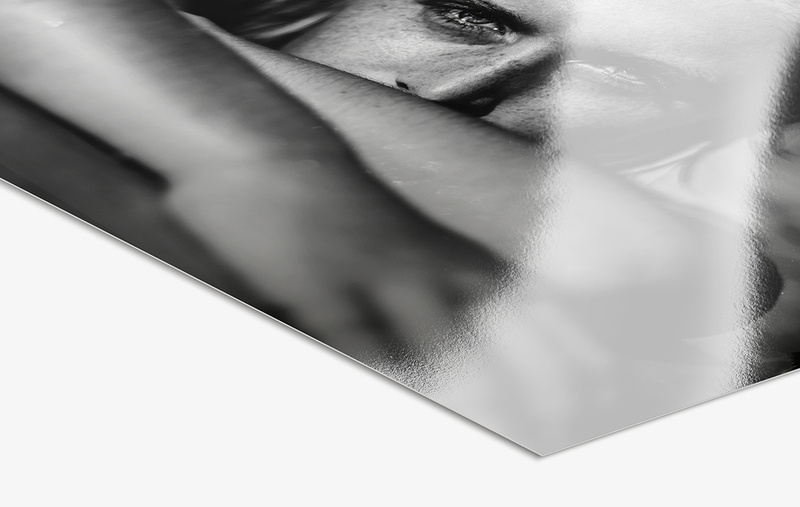 From glossy to matte to metallic to specialty black and white, our real photo prints live up to the highest of expectations. 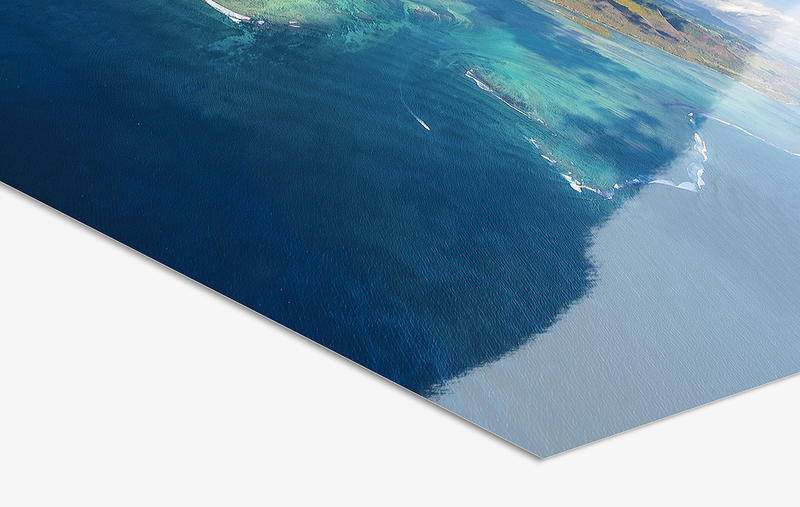 In my ultraHD Photo Print, the color and definition – right down to the smallest detail – really won me over. 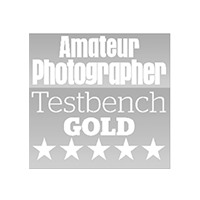 A great value for the price, and I highly recommend this product to other photographers! The quality is truly sensational. 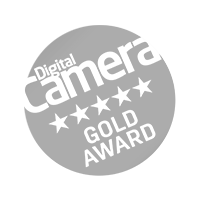 A great reason to take photos! Thanks a million! Quality has a price. Your results were almost always perfect. And the one time they weren’t, a perfect replacement was issued without any hassle. Thumbs up! One of the reasons I am so satisfied, is that you have color profiles that allow me to prepare my pictures with Lightroom so that the end result looks like the picture on my monitor. Fantastic! The quality of the photo prints is really impressive. Pictures were very good in every format (Metal Prints, Photo Prints, Acrylic Prints, Mounted Prints). Over 140 prints and zero complaints. Brilliant colors and perfect details, even in the smallest size. More than satisfied!!! I was really happy to see such careful and secure packaging! 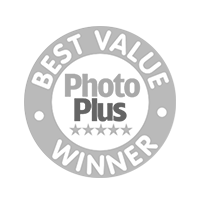 Your outstanding photo prints and the professional packaging justify your prices. I am very satisfied and will order from you again. Choose From 9 Premium Papers! 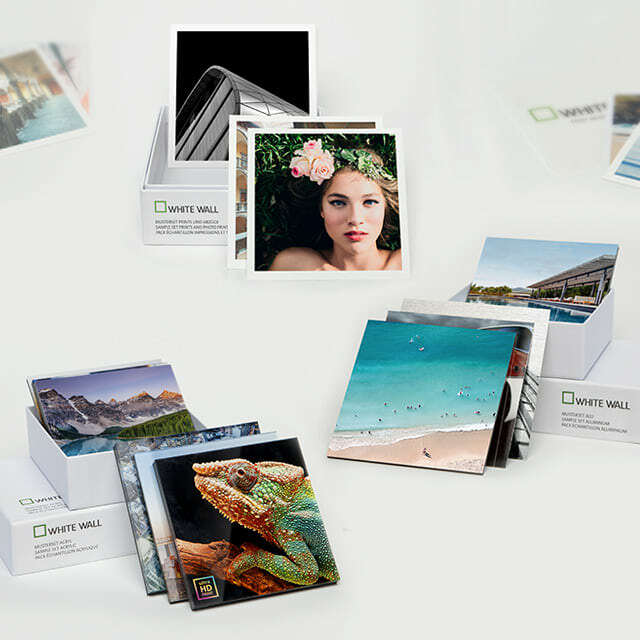 Professional photographers swear by original photo prints from WhiteWall: produced in perfect, gallery quality on high-end photo papers. 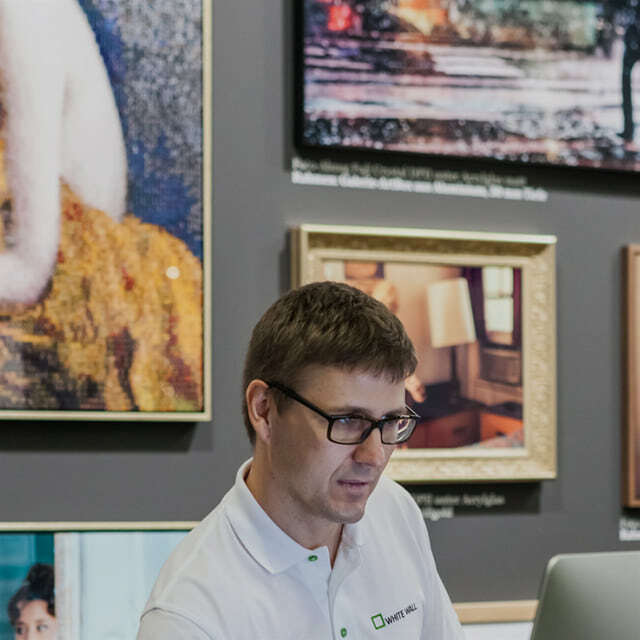 Thanks to a combination of modern technology and traditional photochemical know-how, our photo prints live up to even the highest expectations. Let their top-rated quality convince you! 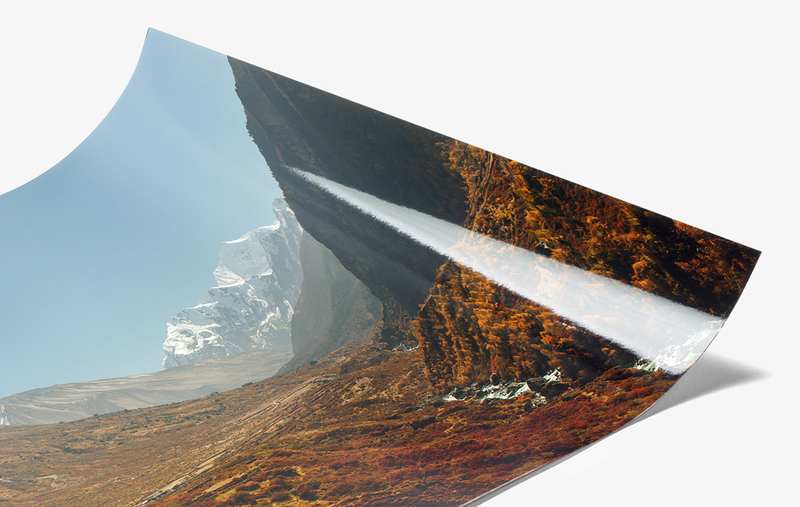 With razor-sharp details and the highest definition, our ultraHD Photo Prints on Fuji Crystal DP Maxima truly shine. 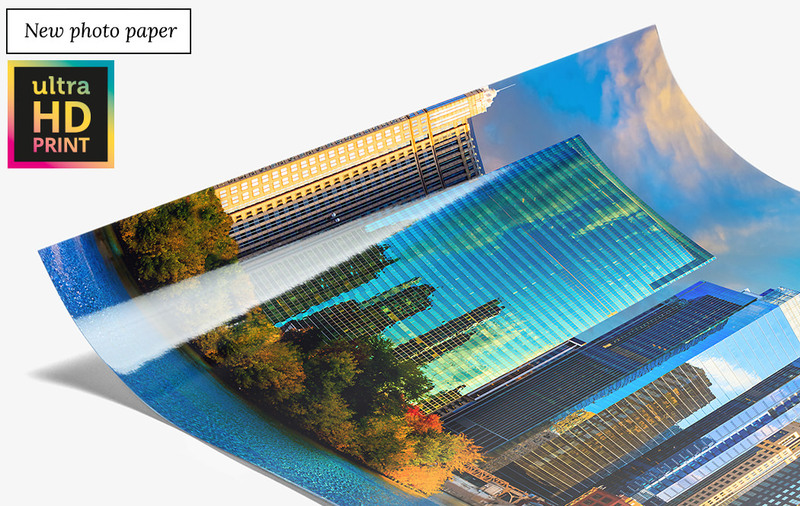 The high-gloss nature of the brand-name photo paper brings additional intensity to the colors in your image. Our specialist lab achieves the high picture quality – as well as the halftone-free exposure – through a new, revolutionary process. 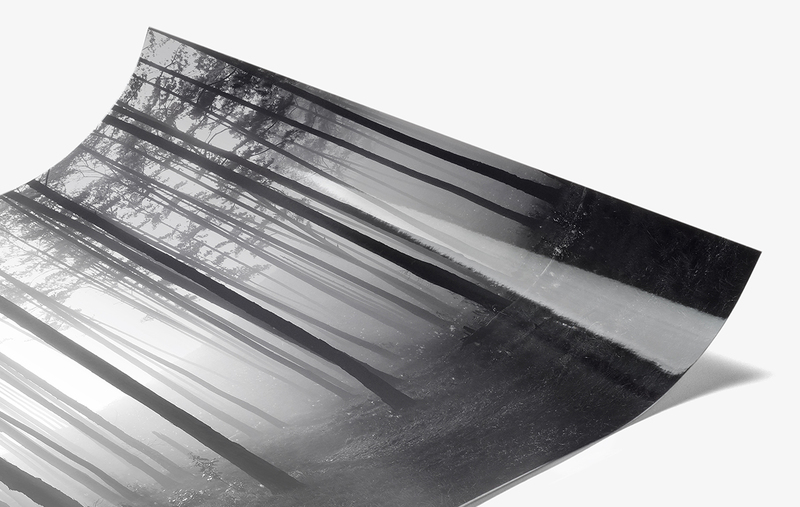 The climate-controlled storage of the Fuji Crystal DP Maxima paper guarantees it remains perfectly even during the innovative exposure process. 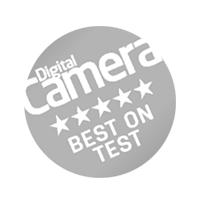 Experience a clear improvement in maximum density and dynamic range in your real photo prints. The Lambda print on Fuji crystal DP II is ideal for resplendently colorful images. The premium paper by Fuji is known for luminous, true-to-the-source colors and absolute clarity that last for at least 75 years! Individualise your Lambda print on Fuji Crystal DP II by selecting a matte, glossy, silky or velvet finish. 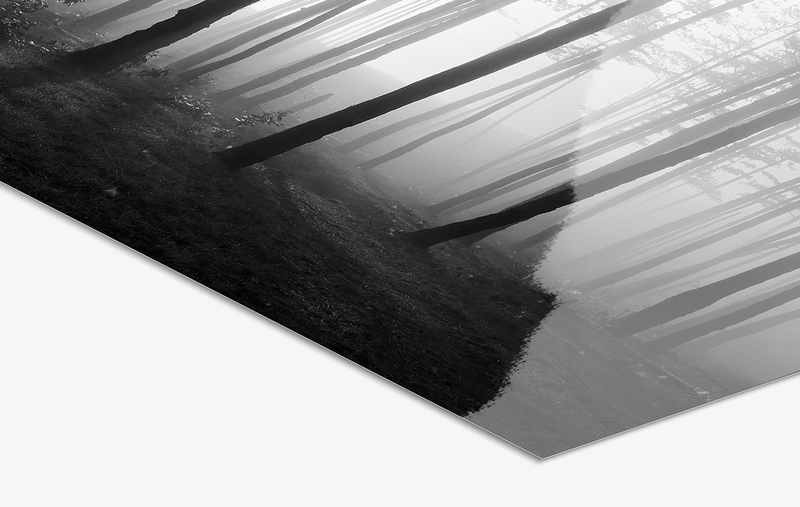 Additionally, you can refine your print with a white border, passe-partout, or a frame with or without glass. 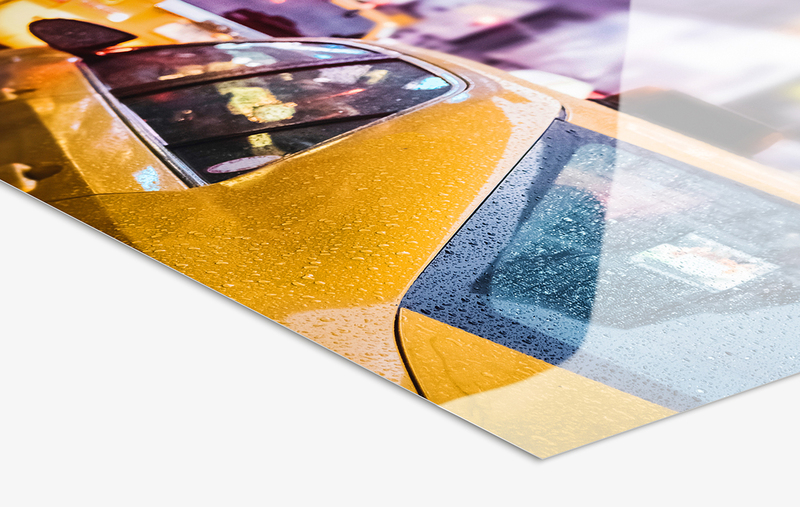 The LightJet print on Kodak Pro Endura is particularly suited to images with strong color contrasts. 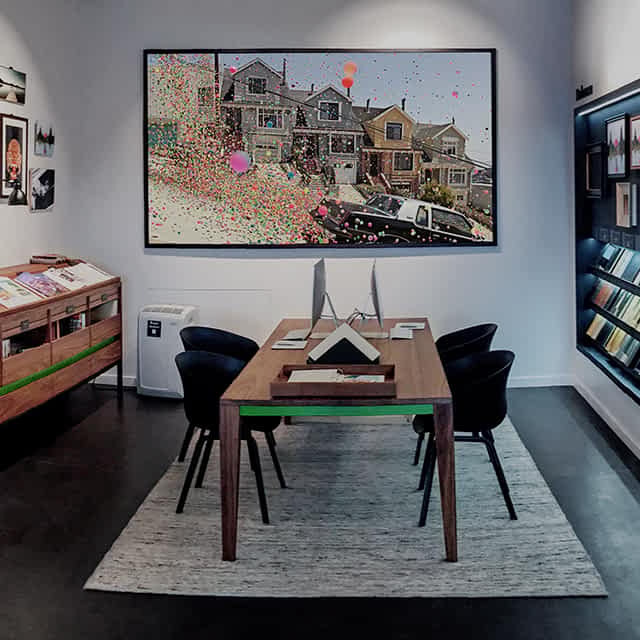 The distinguishing characteristics of these expressive, high-end photo prints are luminous highlights, vibrant colors and an extraordinary tonal range. Trust a premium paper that is among the most durable in the world, keeping your image’s colors brilliant for at least 100 years. There are many ways to individualize your Kodak Pro Endura print including a white border, frames, passe-partouts or frame glass. 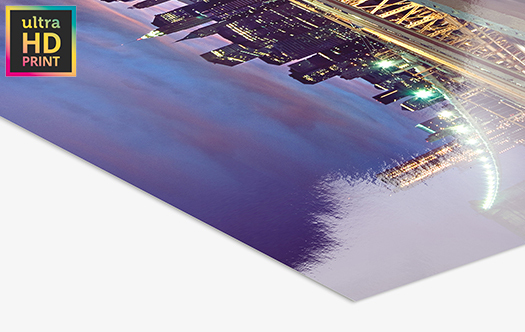 Through a high-gloss surface, our LightJet photo print on Metallic ultraHD makes the bright portions of your photographs really shine. 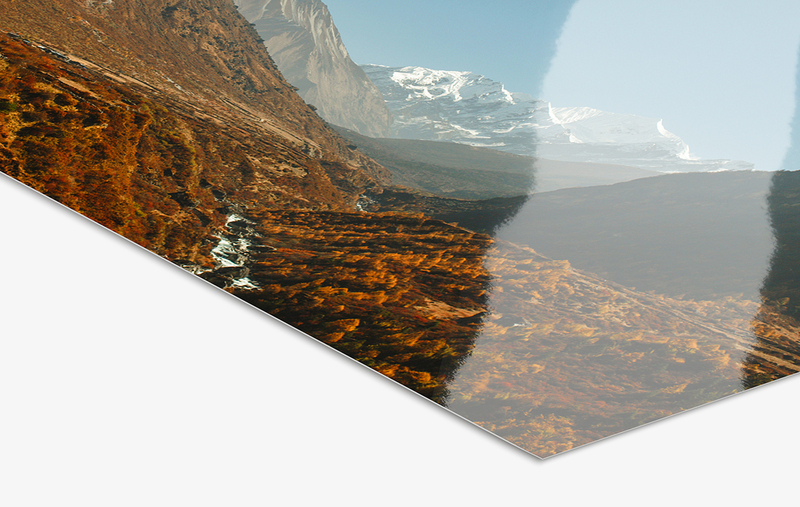 This special effect comes from the silver halide paper’s film laminate coating. 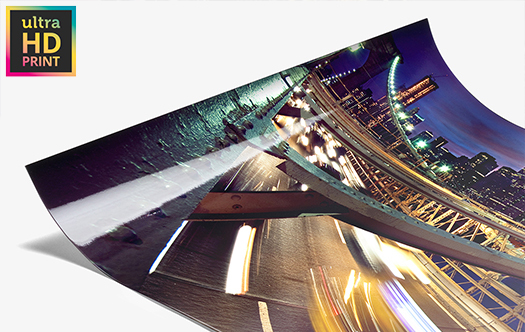 At WhiteWall, we recommend Fuji Crystal Pearl photo paper for contrast-rich images such as nighttime cityscapes with flashing lights. The paper really brings out shining whites and deep blacks, and the surface gloss gives them additional expressive strength. Give your photo print an individual finish with a white border or one of our high-end frames with or without passe-partout and glass. 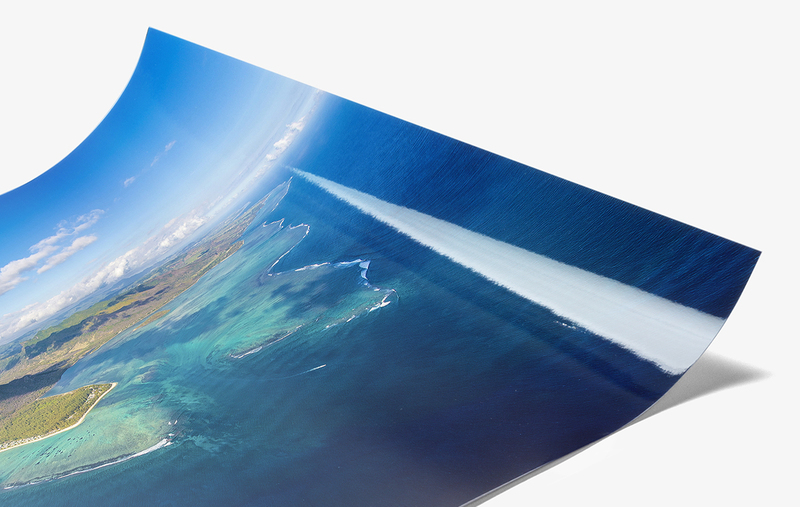 The LightJet photo print on Fuji Flex high gloss makes its mark through an ultra-smooth surface that ensures highly glossy and razor-sharp photo prints. Its warm base tone gives your photographs expressive depth and vibrancy. Your print will shine in brilliant, luxurious color for at least 100 years. 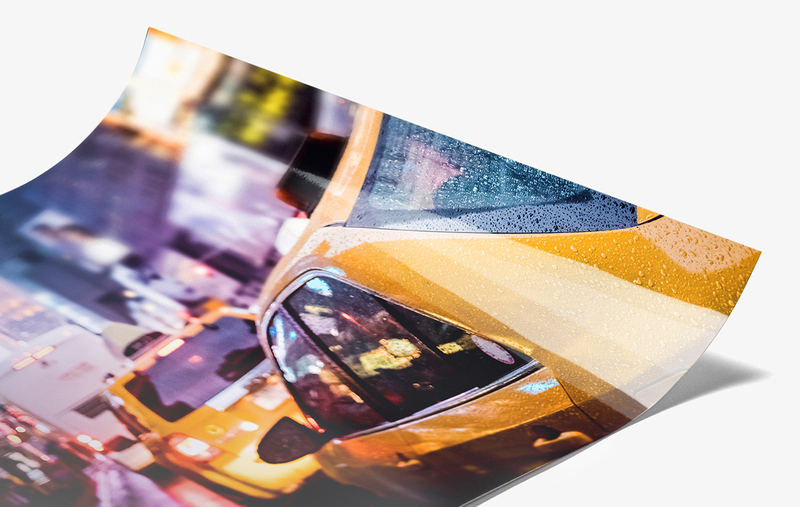 Experience a premium photo print from the lab for professionals! If you want, you can personalize your photograph with a white border or a refined WhiteWall frame (with or without passe-partout and frame glass). If you want to put your loved ones in the spotlight with classy, black-and-white portraits, then the option for you is the LightJet print on Ilford B/W paper; brilliant whites and deep, glamorous black tones ensure a contrast-rich, expressive picture. 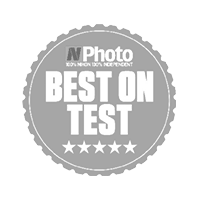 The silver halide layer protects the image from fading, and an extra-long rinse ensures your photo print from our repeatedly top-rated lab will be extremely durable. 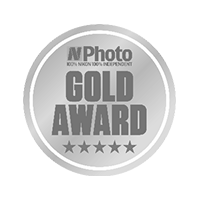 With a white border or bespoke frame, passe-partout, or frame glass, you can give your photo print an additional, high-end finish. 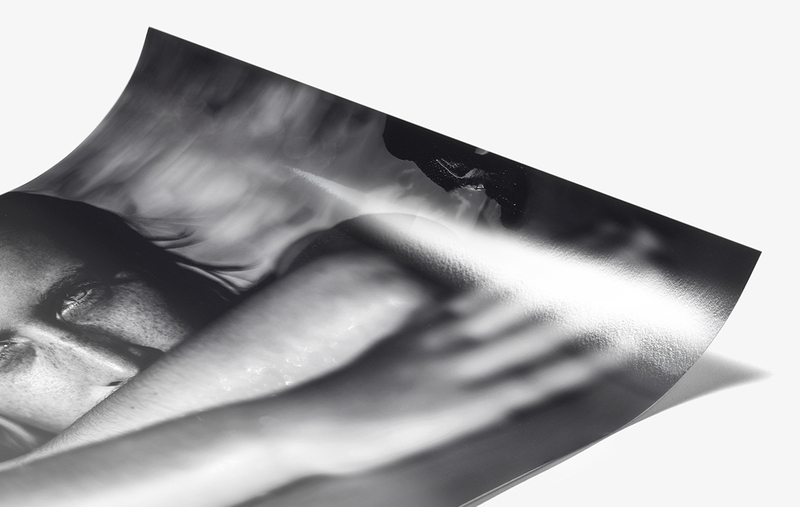 Black-and-white photographs on baryta paper are the cream of the crop when it comes to printing techniques for black-and-white photography. 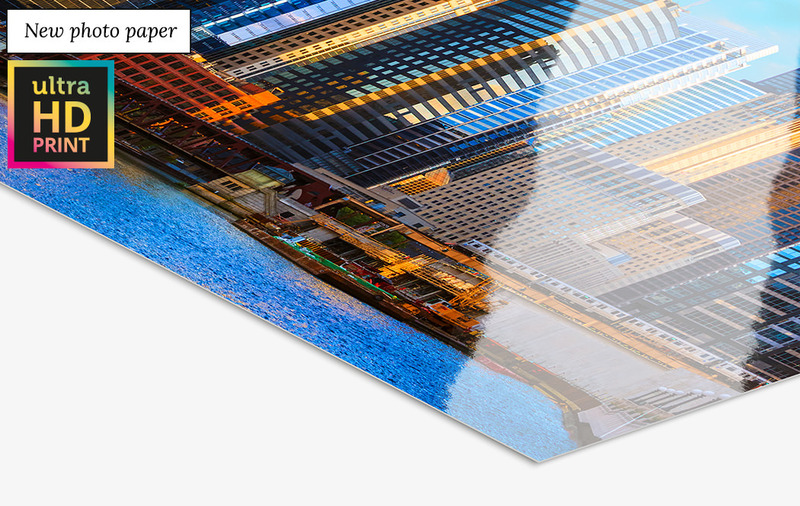 We expose the classic baryta paper using our high-tech laser exposure system, resulting in a unique image quality at a top-rated level. 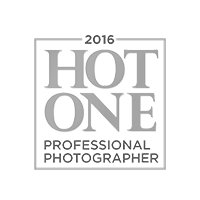 With brilliant white and deep black tones, topnotch art photographs on baryta have an inimitable aura. Baryta is among the most enduring photo papers in the world. The luminous white and rich black give your favorite moments an inimitable tonal range. Give it a personal accent with a white border, high-end frame, passe-partout, or a frame with glass.